Ray Dalio's "All-Weather Portfolio" provides the basic template for designing a portfolio capable of mitigating significant public market volatility in uncertain economic times. Increasing opportunities in crowdfunding provide the "average Joe" with alternative investments to public markets, some of which may provide more aggressive investors with much more attractive risk-reward than bonds. Why now may be a great time to adopt this approach. 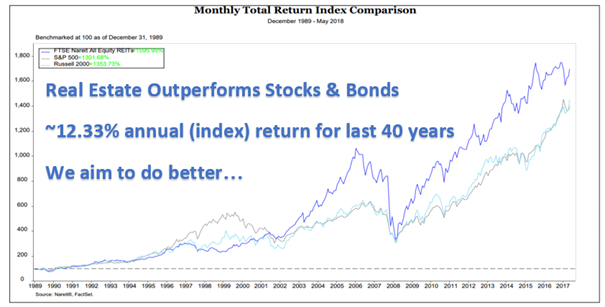 I wrote about one method of adapting Ray Dalio's "All-Weather Portfolio" earlier this year in an attempt to maintain high levels of income and total returns, while simultaneously achieving significant diversification across asset classes that had low levels of correlation to each other. However, since then I have developed a simpler and potentially more potent version that investors might be prudent to emulate and/or adapt to their own portfolios as we continue through the market's choppy waters. Evin Rohrbaugh wrote a nice piece a few years ago outlining Mr. Dalio's all-weather strategy (see the chart below) and gave everyday retail investors a template for easily implementing this asset allocation strategy using low-cost ETFs. The strategy is supposed to achieve its stability through its majority allocation to bonds and its strong returns through allocation to stocks, gold, and commodities, each of which is supposed to provide high rates of return in certain market environments. This asset allocation is more than just a piece of academic theory: it has performed admirably in back testing over many decades. In fact, the all-weather portfolio has already begun seeing poor performance in recent years due to its outsized exposure to bonds in a period of rising interest rates. What, then, is a better path? 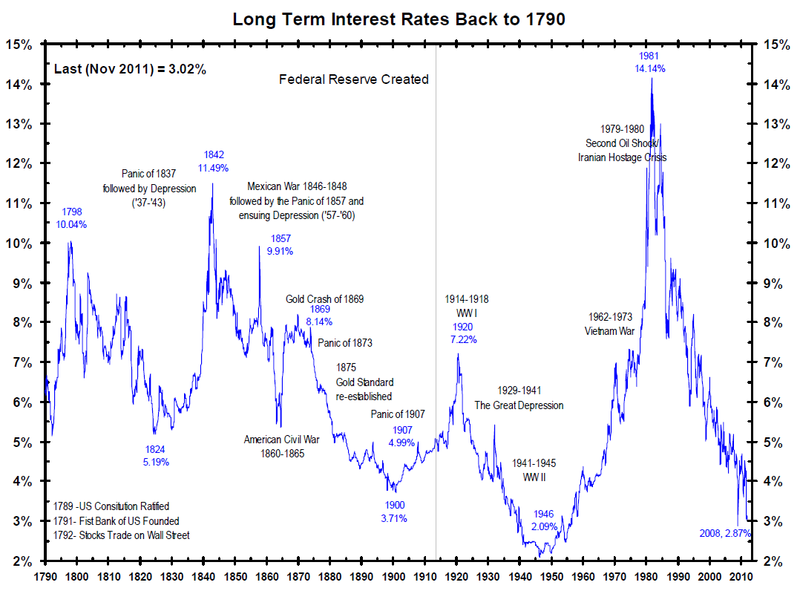 (1) Precious metals are historically cheap. An often-overlooked alternative investment that is very resistant to inflation and looks particularly attractive right now can be found in precious metals such as gold and silver. Backed by millennia as the premier form of money and a stable store of wealth, gold and silver have – to borrow a term from Warren Buffett – perhaps the ultimate “moat” protecting their intrinsic value over the long-term, and have proven to be an ideal safe-haven asset during times of economic and/or geopolitical uncertainty. Precious metals look particularly attractive right now due to declining gold discoveries, surging demand in places like China, Russia, and India, loose monetary and fiscal policy in the U.S., geopolitical uncertainty, and historically low gold and silver prices relative to the stock market (not only is gold near decade lows against the stock market, but silver is at one of its cheapest valuations relative to gold ever). Common consensus is that we are late in the current economic expansion with much of the upside in equity prices already achieved. As a result, the risk-reward of investing in equities is now not very attractive over the short-to-medium term outlook. In fact, the outlook is even worse among those who subscribe to the Austrian theory of the business cycle, with many in this camp calling for an economic crisis even greater than what was experienced just ten years ago due to the fact that the current economic recovery is merely an illusion caused by massive quantitative easing, enormous deficit spending by governments, and huge economic distortion and over-leveraging caused by artificially low interest rates. Due to the suppression in interest rates for so long, bonds are considered by many (even Alan Greenspan) to be in a massive bubble. As a result, forward returns in treasuries and high grade bonds are very low and offer significant downside if interest rates are allowed to continue rising. By virtually every metric, inflation is on the rise. In fact, according to some, inflation is even higher than is being reported. Given these factors, the extremely heavy allocation to high-grade/low-yield bonds in Dalio's portfolio appears to be more of a drag than a boost moving forward. Furthermore, Faber's portfolio has a much higher allocation to precious metals than the All-Weather Portfolio while also offering slightly less exposure to stocks (both of which are advantageous given the current macro outlook). Finally, unlike the All-Weather Portfolio, Faber's portfolio offers a considerable allocation to real estate, which has been shown to outperform over the long-term and also offers a favorable outlook in the current environment. While its valuations are stretched similar to other equity assets (such as stocks), as a real asset with a simple business model, real estate is primed to thrive in an inflationary and/or recessionary environment with far fewer disruptive risks than other business models. In particular, short-term, conservatively-financed, first-lien asset-backed real estate loans offer a very attractive risk-reward outlook right now. Due to fairly stretched valuations in all equity classes, this portion of my portfolio is mainly composed of real-estate backed loans. As a result, I combine my cash exposure with real estate in a way that still produces strong double digit returns while mitigating some of the downside risk that would come from owning real estate equity. Two especially attractive options for gaining this exposure is through GROUNDFLOOR and Fundrise. GROUNDFLOOR offers exposure to single family home renovation and construction projects at loan-to-value ratios of 45%-70% with average interest yields of over 10%. The loss rate on these loans is under 1% based on the latest data of loan performance, making a diversified portfolio of such assets a fairly conservative investment. Granted, in a down market the loss rate will rise, but the very nature of holding first lien asset-backed loans with a significant cushion between value and lent capital will significantly cushion any losses suffered and will lead to far lower losses (if any) than would be suffered from exposure to equity. Fundrise is similar, except that it offers its loans through a REIT format (you invest in a pool of projects instead of individual ones) and also invests some of the funds in preferred and common equities. Furthermore, it invests in multifamily projects as well as single family homes, whereas GROUNDFLOOR is strictly single family projects. While Fundrise has the advantage in diversification, GROUNDFLOOR has the edge in that investments are much shorter term in duration (6-12 months) whereas Fundrise investments are made with a 3-5 year time frame in mind (though they do offer quarterly liquidity for a fee and dividend payments). I personally use both options, though I favor GROUNDFLOOR for its slightly greater total return proposition as well as its greater liquidity due to the shorter term nature of its loans. Beyond these opportunities, I also invest in the best REIT opportunities discussed in the High Yield Landlord real estate investment community. Currently, our highest conviction buy is Brookfield Property Partners (BPY)/Brookfield Property REIT (BPR), and we have several other exciting investment opportunities that we are pursuing. Thus far, we have been able to outperform the market by a considerable margin and believe that investments like BPY will enable us to achieve continued significant outperformance over the long-term. While my allocation to REITs and real estate equity as a whole is fairly limited right now in favor of real-estate backed debt, as market prices and cycles shift, I plan on allocating the majority of my real estate funds back into equities. By actively rebalancing and re-allocating my portfolio while still maintaining diversification across asset types through cycles, I believe I will be able to achieve a fairly stable portfolio, adequate liquidity, and strong total returns. While precious metals do serve various economic functions (all are popular as jewelry and collectibles in addition to serving as a long-term store of value; silver (SLV), platinum (PPLT), and palladium (PALL) all serve industrial purposes while gold (GLD) serves as true money in the vaults of central banks), their non-cash-flowing nature relegates them to primarily playing the role as insurance in an investor's portfolio. While they do produce out-sized returns in spurts, over the long term they have been shown to significantly under-perform stocks and real estate. As a result, I take a lower stake in precious metals than the Marc Faber portfolio does. That being said, right now is an opportunistic time to hold these in a portfolio and I find creative ways to generate cash flow by selling options against some of my holdings and investing a considerable portion into the beaten down mining sector (in particular, the steeply discounted CEF ASA Gold and Precious Metals (ASA) and mining behemoth Barrick Gold (ABX)). If/when the next down cycle happens and stocks get beaten down into undervalued territory, I plan to reduce my holdings to ~10% of my portfolio by rebalancing the funds into undervalued equities and then gradually increase it back to 20% as asset prices reinflate. As a firm believer in maintaining diversification across various asset classes and not timing the market (due to the wise observations of King Solomon in Ecclesiastes 11: "Divide your portion to seven, or even to eight, for you do not know what misfortune may occur on the earth ...He who watches the wind will not sow and he who looks at the clouds will not reap. "), I still believe in maintaining exposure to stocks even in this environment. However, I also refuse to buy into general index funds and instead focus on finding a few high quality businesses that I believe have the balance sheets and the business model to weather a severe downturn. In particular, I find high quality midstream MLPs (such as Enterprise Products Partners (EPD) and Enbridge (ENB) or even Nuveen's primary MLP CEF (JMF)) and infrastructure businesses (such as Brookfield Asset Management (BAM) and its subsidiaries Brookfield Infrastructure (BIP), Brookfield Renewable (BEP), and Brookfield Business (BBU)) to be attractive right now. However, for additional diversification I also invest in some longer-term growth businesses trading at cheap valuations and boasting strong balance sheets, such as Magna International (MGA) and Universal Insurance Holdings (UVE). No human is omniscient and therefore no one can ever perfectly time the market. As a result, asset diversification and a patient, big-picture outlook are essential to adequate long-term investing performance. My portfolio strategy, while imperfect, gives me what I believe is the opportunity to shelter myself to an extent from the next downturn without sacrificing the ability to generate strong returns in the present. As always, I value the feedback of readers and hope to learn of ways from you in which I can improve my portfolio's risk-reward potential. Thanks and I look forward to the discussion in the comments. 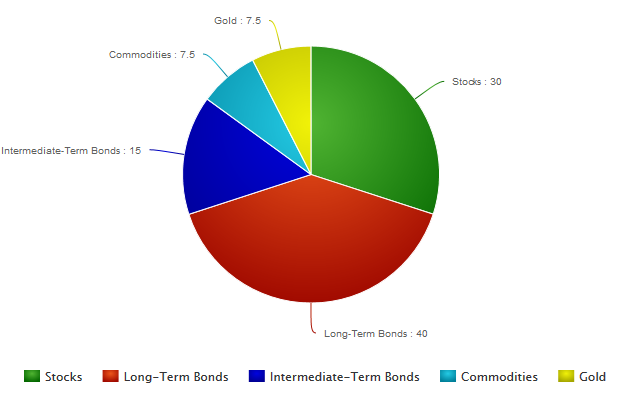 A real-money portfolio funded with $50,000 currently yielding 7.6%. Timely BUY & SELL alerts for simple portfolio emulation. A wealth of data and market intelligence on REITs, mREITs, and other real assets. If you are looking for the newest and most profitable real estate opportunities, you have come to the right place.